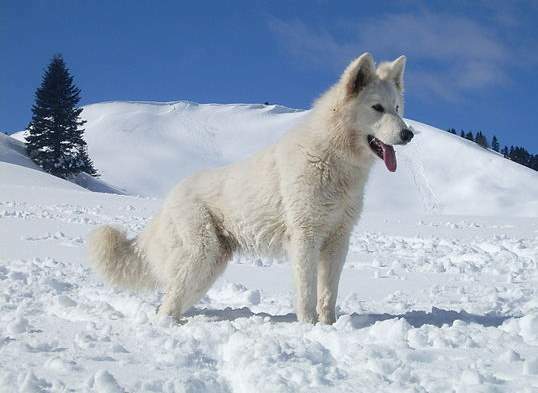 The White Swiss Shepherd Dog, known as the Berger Blanc Suisse in Switzerland, is famous for sharing a nature that is nearly identical to that of the German Shepherd. These dogs are alert and loyal pets with lots of energy to go around. They love a challenge and need the exercise in doing so. Regular exercise is essential to maintaining their energy as well, as otherwise they may take it out on your house or your front yard. These dogs are known to be very sensitive to how they are treated. The environment that they are surrounded by will shape their character. It's important to praise them for their good habits instead of scolding them harshly for their bad behaviour. Otherwise, the dog will become reluctant and uncooperative. While maintaining this treatment, owners must also retain their dominance over the dog. The White Swiss Shepherd Dog is known for its good demeanor towards children. They are very kind and protective towards children, although, their size can put them at risk. Given the energy and weight these dogs carry around, it is easy for small children to be knocked over or injured. Smaller children should always be monitored while interacting, and all people should be taught how to properly handle these dogs before interacting with them at all. These large shepherds have a calm and observant demeanor towards strangers, should they have been socialized properly. Unlike the aggressive stereotype that has been surrounding these dogs unfairly, they are actually quite well behaved around new people. They will always prefer their family to the unfamiliar guests, however, so new guests will have to be slowly integrated into the fold. It is crucial that they are socialized well for them to be able to distinguish the difference between friend and foe. Despite their sensitivity as to how they are treated, these dogs are known to handle most weather extremes fairly well. They tolerate colder weather better, as their thick coat helps to insulate them. Unlike their darker coated German counterparts, their white color keeps them a bit cooler in the heat, although they can still overheat should they be exposed for too long. These dogs are known to be less than social when it comes to other canines. They are more cooperative towards those of their own breed but are altogether not too great at making new friends. Animals that they live with are a different story, particularly those smaller than themselves. While they can be put at risk due to sharing the home with a dog of this size, their protective herding nature is felt by these fellow pets. The White Swiss Shepherd Dog is known to prefer larger spaces in which to live in. Their vocal personalities make living near people sensitive to high volumes harder, so the breed really isn’t recommended for apartment life. On top of space to stretch out, they don’t like being left alone for extended periods of time. These dogs prefer to be around their families, and they are not recommended for owners who won’t be home for most of the day. These dogs are known to shed fairly regularly all year long, with heavy shedding coming with large temperature changes. They aren’t notorious for heavy drooling but are known for having plenty to say. This breed is known to be a bit mouthy, however, which isn’t as terrible considering their lack of drool, but it still remains a nuisance. Owners should take this into consideration when bringing in new people, as a mouthy greeting may come as more than a small surprise. The history of the White Swiss Shepherd Dog begins with that of the German Shepherd’s creation. The German Shepherd, a comparatively new breed, was bred into existence through the efforts of a German captain in order to create an impressive herding dog. This captain succeeded in doing so, working with the already existing German herd dogs as his stock for experimentation. The breed quickly gained attention for its physique and its alert behavior. Before being molded into the dog that we see today, these early Shepherds were the dogs of German farms all across the country. These farmers relied upon these herding dogs to make sure their flocks were not put in danger, stolen, or lost. Once the German captain von Stephanitz found the proper dog he was looking for, he could finally make the dog with the right capabilities he was looking for. The old military career of Von Stephanitz allowed for him to get his dogs to be used by military. They came into great use in the upcoming first World War, holding multiple jobs within the German military. They were very popular within Germany, with the rest of Europe admiring the dog’s abilities as well. Unfortunately, the culture outside of the country during the war made anything German unwanted, carrying a negative stigma. This led to the breed’s name change to the Alsatian Wolf Dog in order to preserve its population. It was in 1931 that the breed’s name return to the German Shepherd in the AKC, while it took much longer before the change was made in the UKC. In 1930 the White Swiss Shepherd Dog was considered a different breed from the German Shepherd, as its color as well as small characteristics set it apart. 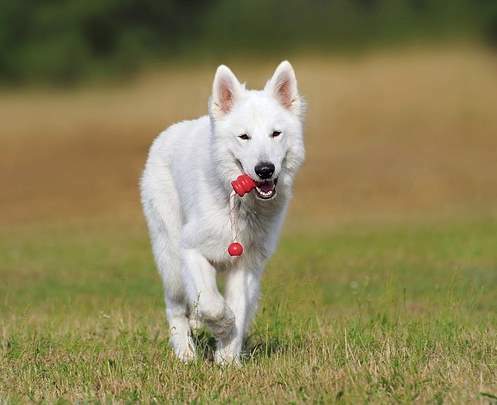 Today, white German Shepherds are not recognized, with the White Swiss Shepherd Dog not being recognized as its own breed in the AKC as well. These dogs share many wanted personality and physical traits with their fellow German Shepherd, helping keep these dogs in high demand in Europe, despite their color difference. However, World War 2 interrupted these breeds’ growing populations. Many domestic populations were targeted during the war, with German dogs later feeling the worst victimization. It was lucky that these dogs had survived, although, a decent number had made their way into the Western Hemisphere, out of the line of fire. The White Swiss Shepherd Dog became its own dog as more and more of them were imported into Canada, the US, and Switzerland. It was in these locations mainly that the breed made its modern base, despite its lack of recognition in the US. Today these dogs are almost as common as their German Shepherd counterparts, although, they see less of the same military use. Instead, these White Shepherds have seen more use as therapy and handicap dogs. The White Swiss Shepherd Dog is incredibly intelligent with a high aptitude for learning. The learning only comes from loyalty, however, so the dog’s owner must display leadership and control over it. If not, these dogs will gladly become the owner themselves. They require consistent and interesting training to maintain their attention and enthusiasm. Most owners will take them to a dog trainer to help with the training process. Altogether, these dogs are easiest to train once their loyalty has been gained. They are typically well behaved, making housebreaking more natural process as well. The dog’s size comes with a larger bladder as well, so teaching them where to go to the bathroom is less taxing. Early socialization is a vital part of training any dog. It is particularly important with these White Shepherds, as they naturally will adhere to any stranger’s presence otherwise. 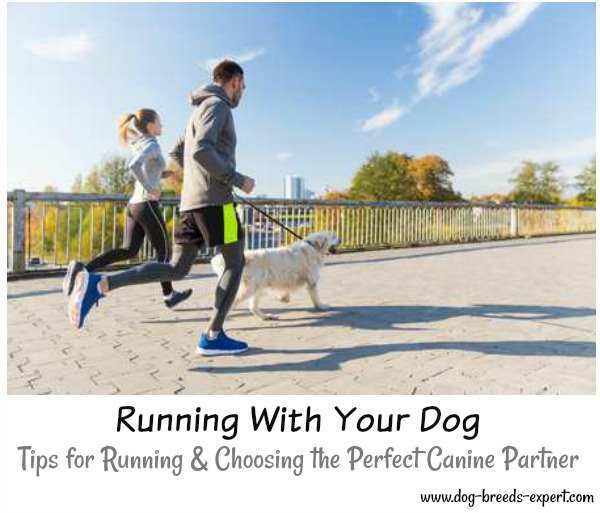 Many owners will take their dogs on frequent walks and to meet other people for them to become comfortable with their environment, as well as the people around them. 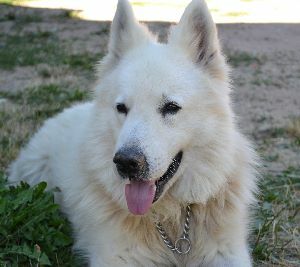 A well-socialized White Swiss Shepherd Dog will be observant and slightly aloof with new people. There is only coat color for this breed, white. 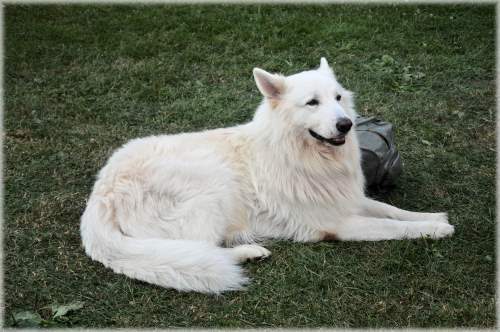 These White Shepherds are known for, appropriately, their white coat. They are also known to shed quite often, and many owners recommend brushing them at least 2-3 times a week, if not daily. Bathing them is also an infrequent task, as over bathing is unhealthy for both their skin and coat. Most owners suggest washing only as needed. The White Shepherd’s teeth need to be brushed almost as frequently as their coat. Regular brushing will prevent the buildup of bacteria and tartar, as well as help, keep their breath fresh and teeth white. Owners recommend brushing at least 2-3 times a week. Another important part of the grooming process is making sure a dog’s nails aren’t too long. If a dog’s nails get to be too long, they may dig in and become uncomfortable. Most owners will clip their White Swiss Shepherd Dogs about every 3 weeks. A good way to tell when a dog’s nails are getting to be too long is by listening to them clicking against the ground as they move. Cleaning their ears is just as important as cleaning their teeth. A dog’s ears should be checked and cleaned at least once a week. Regular cleaning will remove excess wax and bacteria that can get caught inside, helping to prevent ear infections. The White Shepherds ears are easier to keep clean, as they do not completely cover the ear canal. These dogs are well known for their capabilities as protective pets. Having been trained to protect herds, they have an innate protective instinct, especially for the young. With their protective nature, they have an impressive physical build that is likely to ward off any intruders from coming near the property. Should there be a threat present, these dogs would be willing to fiercely protect their owner. This being said, no dog should be placed in the direct threat of injury or be relied on for being a guard dog. Paired with their muscular build is a booming bark. The dog’s alert and impressive hearing allows almost nothing that comes near the property to go unnoticed. The White Swiss Shepherd Dog is notorious for its ability to not only alert their owner to a threat with its bark, but also to scare off whatever it may be. All breeds are bound to run into some medical bumps in the road at some point in their life. An important part of being an owner is being capable of providing them with the proper healthcare. Despite the breed being relatively healthy, it is also important to get in the regular visit to the vet. 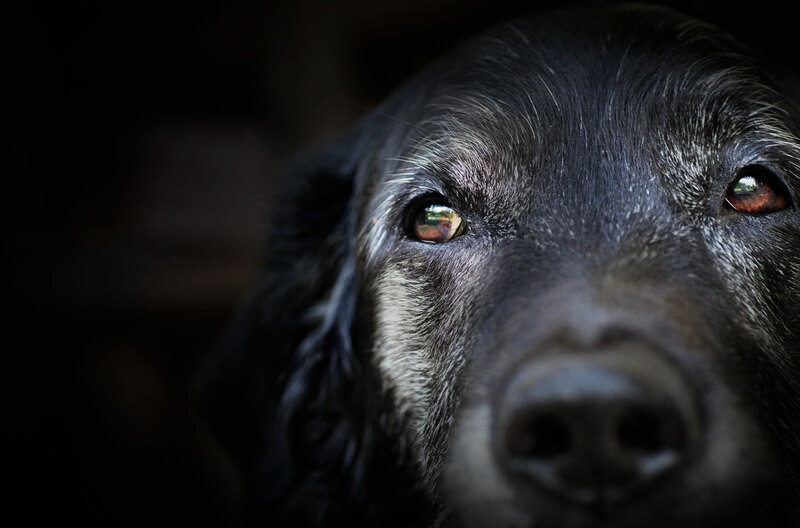 Some breeds are more prone to certain health conditions than others, making it especially important to be aware of said conditions when getting a purebred dog. 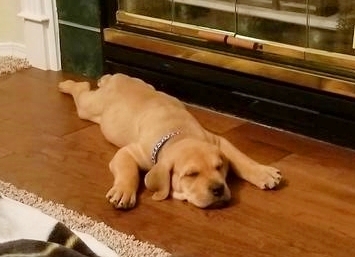 It is always important to make sure you are purchasing a dog from a reputable breeder as well. A good breeder will know the breed well, as well as be capable of passing health checks for their dogs. Lobo- US born dog, registered in Switzerland in 1966. There are few books available for this particular breed, but I did find a couple on Amazon for you to check out.